Felt, plus sequins, plus embroidery. Can Christmas decorations get any better? 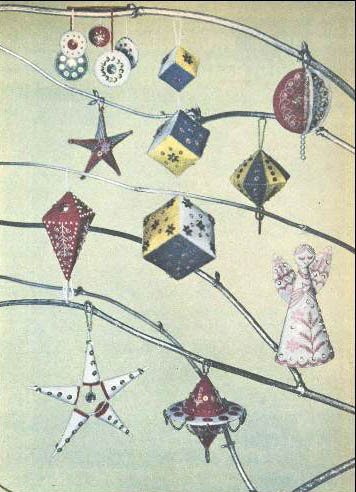 I found these embroidered Christmas baubles and angel in the Australian Women’s Weekly, December 2nd 1959. “Gay Decorations with the Christmas Spirit” page 1, and pages 2 and 3. You can follow my Christmas decorating madness and add these to the mix, or keep your tree retro fab and mix these with a few classic vintage look baubles.